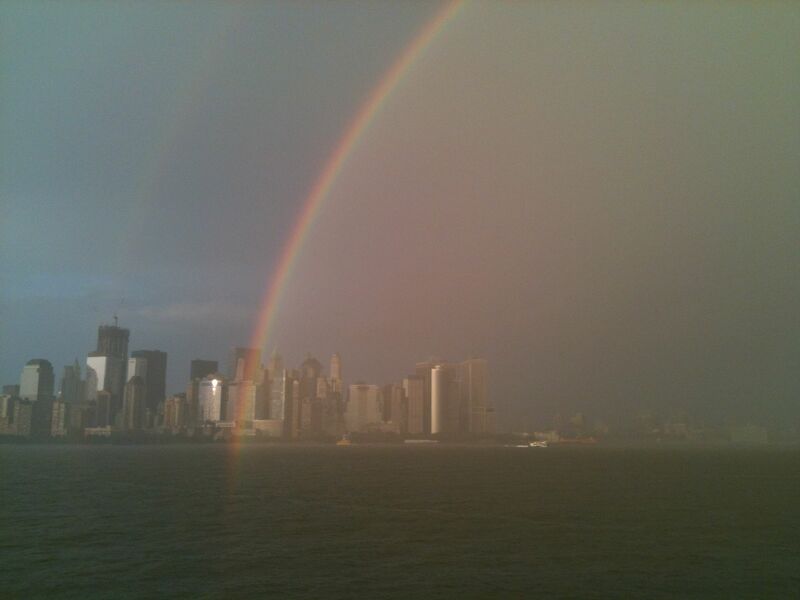 I saw this double rainbow over Manhattan from a platform in the middle of the Hudson just over a month ago. 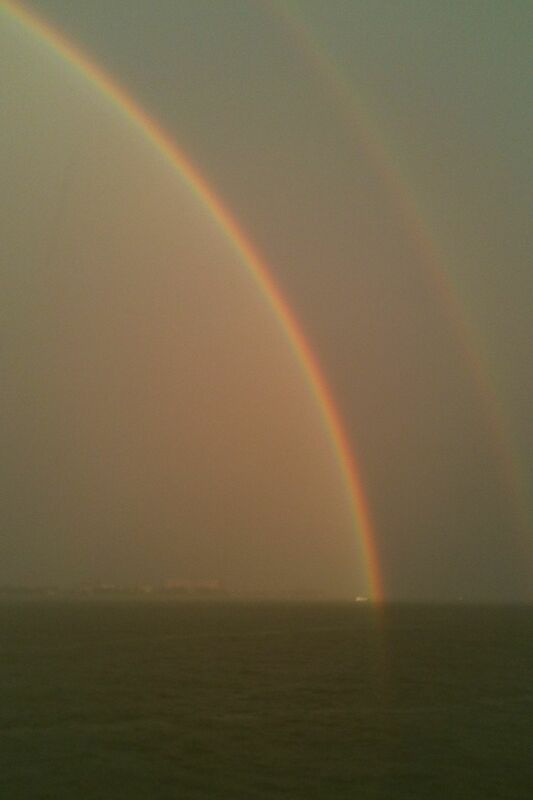 I now belong to the Manhattan Sailing School and one of the privileges of this “club” is that you can go to a barge in the middle of the river and watch races, drink wine, and apparently see double rainbows over the city. I haven’t seen a double rainbow in 20 years actually. The first one I saw was over the Adriatic at Lido delle Nazioni, a beach town near Ferrara where I used to spend a lot of time with my then boyfriend and his family. The water wasn’t great but it was a lot of fun and the Romagnoli (people from Emilia Romagna – the Romagna part) are a joyful bunch. The wines at the time weren’t fabulous either but his father was actually a wine expert of sorts and turned me on to some fabulous wines from around the country. I often credit Sergio with helping me to discover Italian wines and many other things about Italy. I think about those days a bit now because of the earthquakes in that region and because it is summer. I spent many a summer biking around and looking at the beautiful vistas of poplar trees. The area is very flat and is a great place to bike. The lovely town of Comacchio is nearby as well. Famous for their anguilla (eel) which I don’t care for except in Sushi, it is known as a ‘Piccola Venezia.” This is a wonderful place for a family vacation. Today I am sure the place will be alive with cheers around the European Championship, UEFA. I know I will be watching and routing for Italy. I love soccer championships and last week’s win over Germany was sweet indeed. The agreement made on Friday that may stem the European financial crisis actually capped a great week in terms of big events. Once upon a time I was a financial journalist in Italy after I finished my Master’s program in economics and political science and the news cheered me. I am against the austerity programs that have been pushed through so completely by Germany while 100% cognizant of the fact that the reigning in of public debt is a necessity as is pension reform and everything else. Just as an aside, Italy’s debt to GDP was 116% when I was a journalist as well. I covered the bond market and followed ECB President Draghi around when he was the head of the Treasury so all of this looks very familiar. That said, growth is necessary as well to pull us out of the recession and I am thrilled that this view is at least being considered in the European capitals led by Mario Monti, Italy’s Prime Minister together with Spain’s Prime Minister Mariano Rajoy and Francois Hollande of France. The biggest news of the week though is the decision by the US Supreme Court to uphold the Affordable Care Act. I was shocked and thrilled to see that Chief Justice Roberts was the deciding vote. I had been braced for the law to be overturned but miracles do happen. Healthcare is a huge issue in everyone’s lives, mine included as a small business owner, and this decision did make me feel more secure. One of the reasons it took me so long (15 years) to leave Italy, apart from the obvious reasons, was healthcare. Certainly the wait can be long in Italy for certain services but you don’t risk financial ruin if you get sick. I read two blog posts that I liked about the decision, one by Adam Winkler, a law professor at UCLA and a former classmate of mine when I went to NYU law school. I know, it’s complicated but I like school apparently. Another was a blog post I really liked by Jeremy Parzen of Dobianchi, a wine colleague from more recent years about watching the decision with his family. 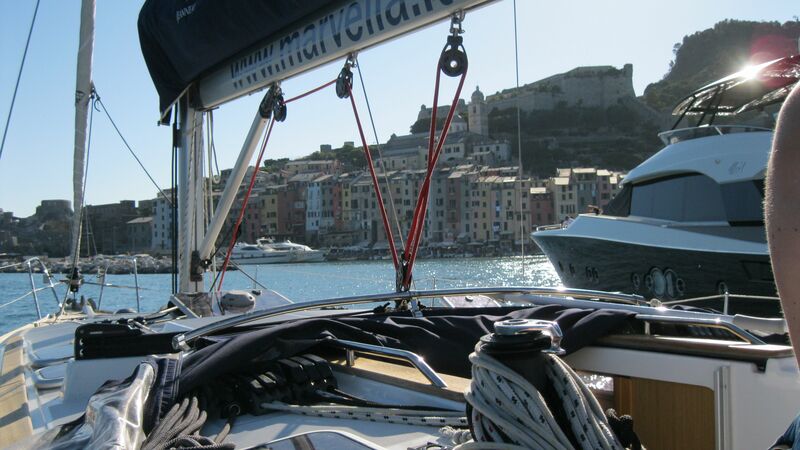 While the future is not going to be smooth sailing or as picture perfect as my weekend in Liguria sailing around Porto Venere two weeks ago, I do feel that a new era has started. Maybe it’s wishful thinking but it is my hope that a kinder, gentler America where you don’t have to go broke if you get sick may not be so far off. 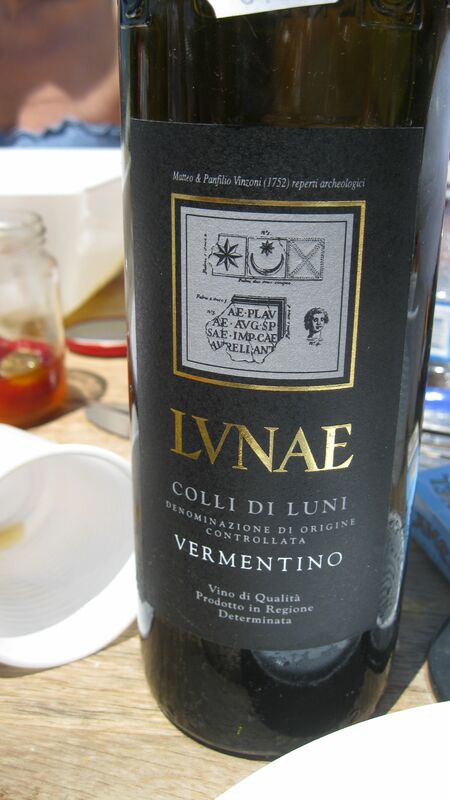 I’ll drink to that any day of the week, starting with one of my favorite Ligurian wines, Colli di Luni from Cantina Lunae di Paolo Bosoni.